The Mercedes-Benz C-Class interior sets the standard for luxury vehicles. In fusing comfort and entertainment, this Mercedes-Benz vehicle delivers an interior you won’t want to leave. Discover what makes the C-Class Sedan and Coupe stand out, then come visit us at Mercedes-Benz of Modesto, just a short drive from Merced. Four-way lumbar support keeps you comfortable, while the driver-seat memory system can store up to three custom driving positions. The rear seats fold into a 40/20/40 split, giving you nice cargo space and versatility. Both driver and front passenger can adjust their temperature based on individual comfort levels. With KEYLESS GO® and SmartKey®, you can unlock, start, and drive your car without ever having to fiddle with keys. Still researching? Compare the C-Class vs. E-Class and the C-Class vs. CLA, and then schedule a test drive. 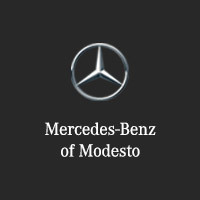 Then, visit us at Mercedes-Benz of Modesto, near Stockton. Get behind the wheel to test the C-Class performance, and you’ll be impressed.